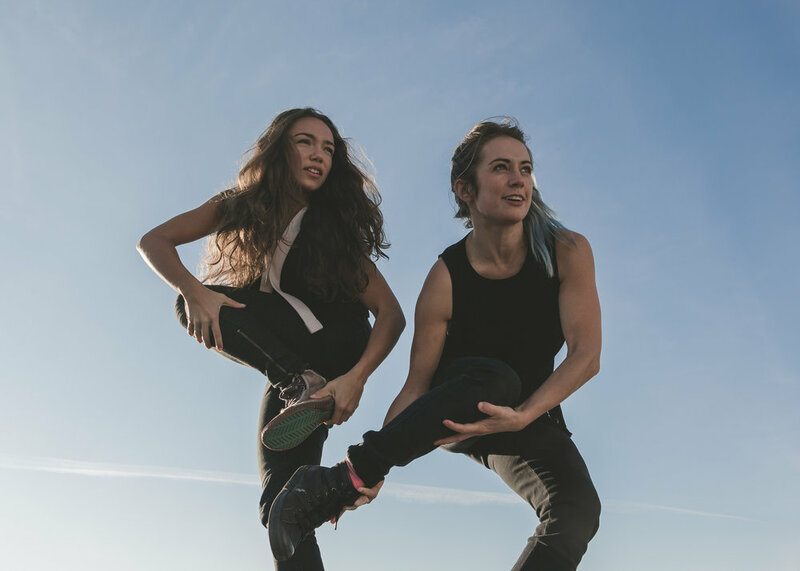 In celebration of their triple music-video collaboration, chamber-pop octet Sister Species joins choreography-duo Hiponymous for a night of film, movement, and sound. ideos were produced by Jack Davis and Eli Edleson-Stein of LoonarCity, a Minneapolis, MN-based documentary-production company that produces videos for artists, non-profits and other seekers of sustainable solutions. They first collaborated with Sister Species on "Star" in 2016. Guitarist Abby Kastrul and accordionist Emily Kastrul (Betazoid, Hazel Ra) transform two decades of sibling rivalry into raw, unapologetic, orchestral pop songs. With their first full-length album Closer Now, Sister Species showcases a sound matured as a 7-piece ensemble. Featuring Jake Baldwin (Har Mar Superstar, McNasty Brass Band), Ryan Hays (Matra), Lars Johnson (McNasty Brass Band, Radiochurch), Sten Johnson (McNasty Brass Band, New Sound Underground), and Noah Ophoven-Baldwin (Percheron, Realtree, Drone Band), Closer Now’s intricate 3-part trumpet arrangements and driving beats lift the sisters' harmonies into refreshing new territory. Emily Kastrul is a fiscal year 2018 recipient of an Artist Initiative grant from the Minnesota State Arts Board. This activity is made possible by the voters of Minnesota through a grant from the Minnesota State Arts Board, thanks to a legislative appropriation from the arts and cultural heritage fund. Sister Species is releasing their second full-length album Heavy Things Do Move in November of 2018. Hiponymous is a crew of two, comprised of Renée Copeland and Genevieve Muench. With an ever-evolving aesthetic, the duo is committed to making work that values community, social justice, and queer/feminist representations. Hiponymous' signature choreography delivers simultaneously subconscious and overt approaches to unison and punctuation of movement through rhythm. They create unpredictable pockets in performance, where inventive impulse and phrasing bring a gritty utility to their storytelling. Tonal dramatic shifts roll through the body like mercury, dancing the range from humor to horror. Hiponymous makes dance the way life often feels: complex with bodies that experience a world of adversity and complicity, and perhaps they make dances that reveal how they would like to choreograph their lives: full of consensuality, deep, radical friendships, humor, real equity, good food and of course, ice cream.